For better or worse, app’s change the way we do certain things. Uber has changed what we expect when it comes to customer service. Snapchat has changed the way we flirt and sext. WhatsApp has changed the way politicians scheme. And Instagram has changed the way we take and share photographs. And it has all happened in less than 10-years. But none of the app builders behind these now famous brands started out knowing they were going to be this successful. Or that they were going to influence behaviour globally. This is especially true of Kevin Systrom, the app builder responsible for Instagram, whose initial approach to the app was a variation of everything but the kitchen sink. Systrom was born in Holliston, a small town in the Greater Boston area. His father is an HR executive, and although his mother has held marketing positions with several tech companies, his interest in computers and technology started much earlier, with Doom II. Systrom started playing the game with friends in high school, eventually progressing to creating his own levels. By the time AOL Instant Messenger launched in the late 90s, Systrom’s coding skills had developed enough for him to write a simple prank app. Systrom used this to fool his friends into believing their AOL accounts had been hacked. After high school, Systrom switched the east coast for the west coast, attending Stanford University, the academic heart of Silicon Valley. Despite having an interest in technology and programming, Systrom chose to study management science above computer science. He graduated with a bachelor’s degree in management science and engineering in 2006. But he remained interested in technology, and while still studying was selected for the Mayfields Fellow Program, which led to him interning at Odeo. Following graduation, Systrom spent two years at Google, working as an associate product marketing manager for several Google products. Systrom left Google to join Nextstop, a newly formed startup working on social recommendations. Nextstop was acquired by Facebook in 2010, but Systrom had already left the startup to start working on what would eventually become Instagram. Throughout his time at Stanford, Systrom worked on various personal projects. These included games for friends, and later a photo sharing website for internal use by him and his fraternity brothers. So it wasn’t too unconventional for Systrom to start working on an idea for a web app while working at Nextstop. Early prototypes for Burbn – built using HTML5 – combined social check-ins with social games, both quite popular at the time. The prototypes lacked a proper design, and made no use of branding, but were passed on to his friends for testing. In his free time he would continue working on Burbn, improving it for his friends. In early 2010, while attending a party for Hunch, Systrom did an informal pitch of Burbn to two attendees from Baseline Ventures and Andreessen Horowitz. They were intrigued by what they heard and saw, and arranged a follow-up meeting with Kevin Systrom. Although nothing was decided at the meeting, it did encourage Systrom to resign from Nextstop so that he could focus on turning Burbn into an actual product and company. Sometimes fortune does favour the brave, and within two weeks of leaving Nextstop, Kevin Systrom received $500,000 of seed funding from Baseline Ventures and Andreessen Horowitz. Realising he couldn’t do this on his own, Systrom approached Mike Krieger, who he had known since the Mayfields Fellow Program. Krieger was working on Meebo at the time, but he liked what he saw of Burbn, and the idea of working on something new. They immediately started working on turning Burbn into a fully-functioning mobile web app that now allowed you to check-in at locations, schedule future check-ins, earn points for hanging out with friends, post pictures, and more. The addition of photos followed the fact that at the time there was no simple way to share photos instantly. Facebook was a desktop app, Twitter didn’t have extensive photo support, and Flickr was more of an image hosting service, not a social network. Soon after the launch of the iPhone 4 in June 2010, Systrom and his girlfriend, Nicole Schuetz, spent some time vacationing in Mexico. He tried convincing her to post her holiday photos to Burbn, but she refused. Cameras on mobile phones have come a long way, and even though the iPhone 4 had a 5MP rear-facing camera, the front-facing camera was VGA; not the best quality for selfies. Thinking back to his first introduction to the Holga camera, and how much he loved the lo-fi retro-styled photos it produced, Systrom decided to build photo filters into the app. Although they allowed you to add a variety of stylised effects, the true purpose was to disguise the low quality of mobile phone photos at the time. And as the quality of photos has improved each year, so too has the use of Instagram filters decreased. Systrom and Krieger created a new prototype that focused exclusively on photos, but after working on it for a week, they ditched it and finished off a working iPhone version of Burbn. But it never made it into the app store. The Burbn app was cluttered, included too many features, and people who tested the app out felt it was too complicated. They also had to consider how the app was now too similar to what Foursquare was doing. After much deliberation, Systrom and Krieger decided to strip the app of everything except for the photo, comment, and like features. Over the next 8-weeks they rebuilt the app, renamed it Instagram (a portmanteau of instant telegram), and after a very short round of testing among friends, launched it in October 2010. Thanks to a number of high profile contacts they had established over the years, they received a fair amount of online coverage without much effort. Within 24-hours they already had 25,000 registered users, growing to a million in the first month. Despite not having an Android version for the app (that would follow only in 2012), Instagram attracted more than 10-million users before their first anniversary. And such rapid growth doesn’t go unnoticed. While negotiating a round of funding in March 2012, Systrom received an offer (and a term sheet) from Twitter. But he didn’t sign the term sheet, choosing instead to finalise the funding first. And shortly after closing the round of funding, Facebook made a much more attractive offer. But it wasn’t simply the value of Facebook’s offer that appealed to Systrom, but also how Mark Zuckerberg’s vision for the product aligned with Systrom’s. And he would be able to continue to run, and develop, Instagram independently of Facebook. What Systrom and Krieger discovered through trial and error is that when launching an app, it doesn’t need to have all the features you envision. Starting with a minimum viable product (MVP) can be a lot more effective, allowing you to gather data, and learn more about the features you users want, before you develop further. And Instagram has added a slew of features over the last six years, some small, and some significant. 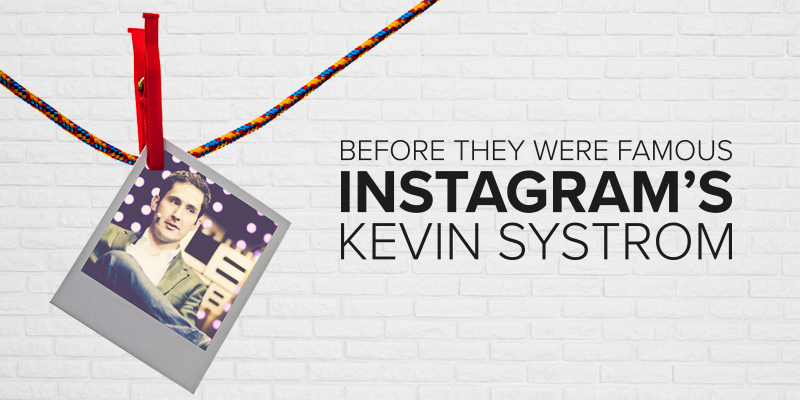 @mikeyk and I launched Instagram in October of 2010 and in a little under five years the Instagram community has grown to over 300 million people. Today, I’m excited to announce something we’ve dreamed of building since the very first day: an inspiring search and explore experience. With the latest update you can see curated collections of interesting places and people, and see trending tags and places. The Instagram community’s photos and videos are a representation of what’s happening right now all around the world. With the new #searchandexplore you’ll be able to peer into these moments and experience the world in a whole new way. The latest app update is available on iOS and Android today! [and] all of these ideas are original when you remix them and bring your own flavour.